Discussion in 'Resurrection Jam' started by SwiftIllusion, Sep 9, 2016.
to become a noteworthy Part Leader and conquer the arenas the Academy provides. An interactive tutorial to teach the battle system with the inclusion of tips to refer back to inside battle. 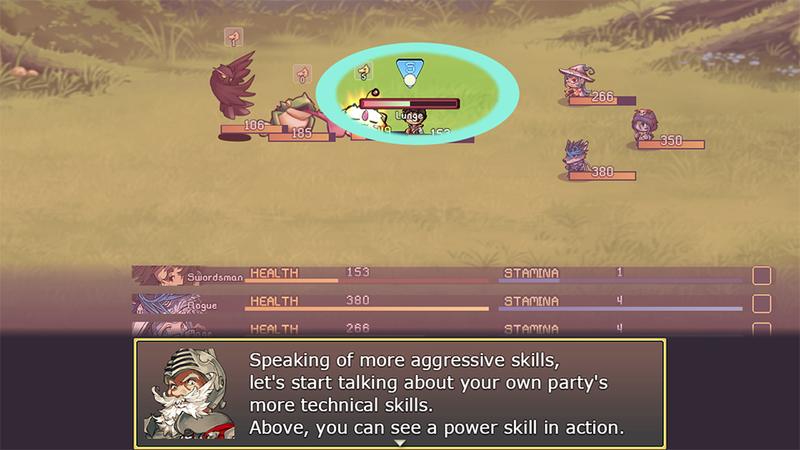 A unique battle system of tug and war with enemy rage and player stamina, with the additional layer of interactive keys to increase skill performance. 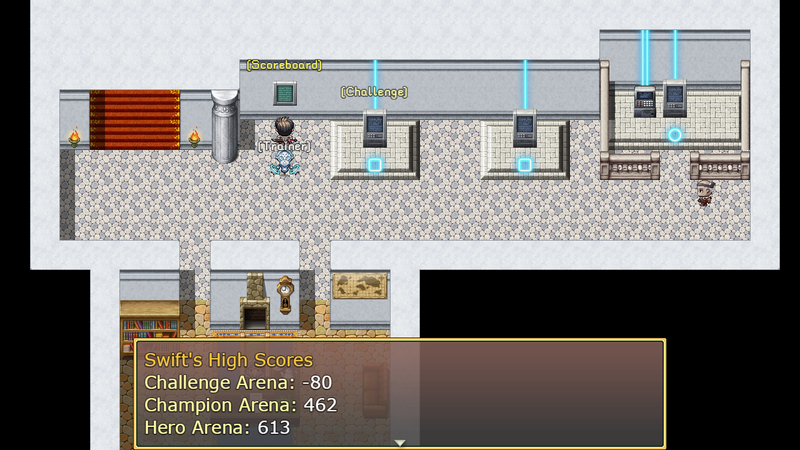 Multiple Arenas to conquer with High Scores tracked, including a Hero Arena where you can unlock and customize further layers of difficulty. into it and it's the most accomplished I've been able to feel as a designer in ages. 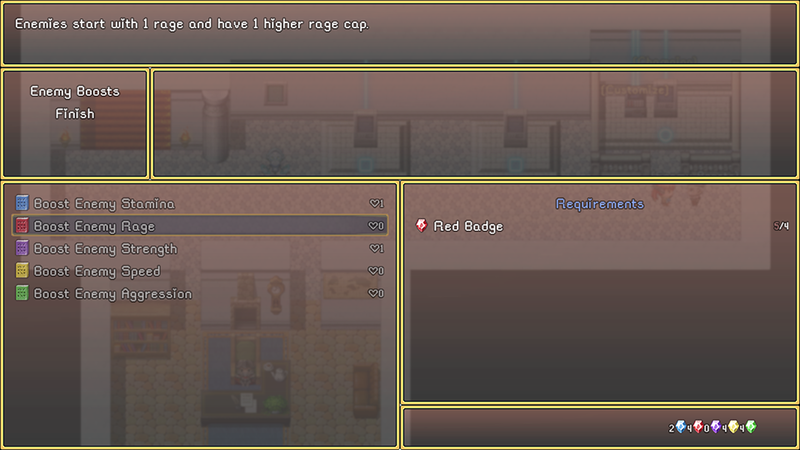 I can't thank the team and everyone that develops additional resources for RPG Maker enough. reference in the future with all I've managed in it I'm looking forward to what might be made next..
or if there's any additional tips you'd like available in the book please let us know . Dalph, Susan, waynee95 and 2 others like this. I wana play this! Everything looks impressive. 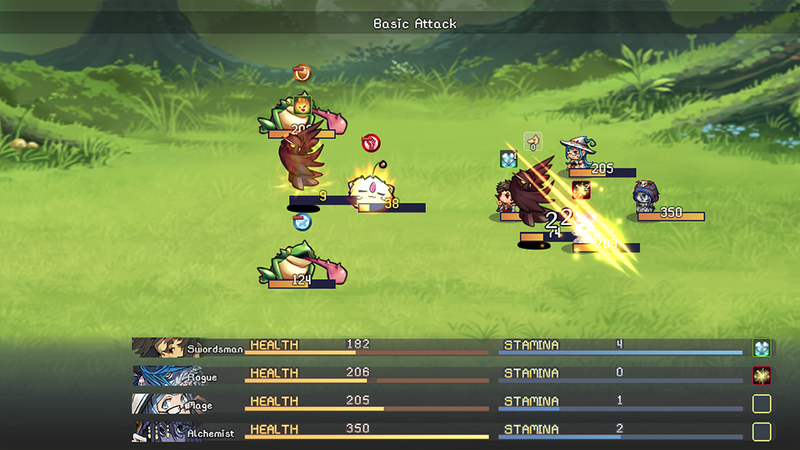 (Is there a way to turn off the hp bars on the character or the hud below? I just don't feel the need for both. @ShinGamix I'm really happy to hear that, thank you ! The download is there so I hope you enjoy your time with it when you get a chance to play it ^^. Sorry there isn't any way to turn off either bar. 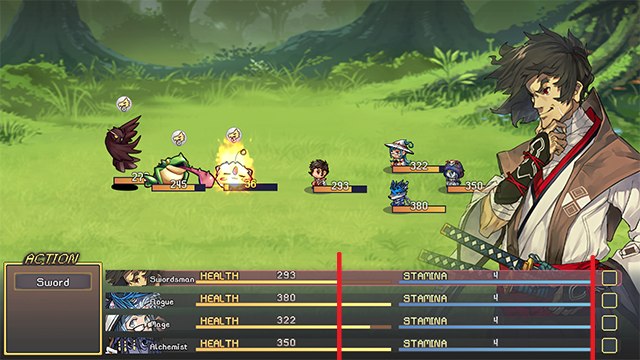 The reason I feel it's important to have both and the reason I was happy to be able to find a hud layout like this, is because I want you to be able to easily compare visually vertically who you should most be concerned about with their hp and where to balance their stamina when selecting your actions. However I also feel it's important during the action to be able to let your eyes just focus on the upper side of the screen and see the changes in the ratio of your health bar relative to the enemies with this form of battling and I'm unable to replicate the visual of the shield to the bottom bar.. If you find it distracting while playing I don't think it's an impossible thing to change, but please get a feel for it in action and then let me know if you feel the same way afterwards . Randomly stumbled upon one of the videos on youtube and thought the battle system looked really polished so I wanted to try it out. This setup isn't the usual kind of game I play, but it was clear the effort put into it and I still found myself entertained for an hour or so. (those puff-balls are lethal when they get enraged!). It was a bit boring with the enemies at the end of the challenges, I think what bummed me most were that it was the same boss in all of them, but the enemies that were there felt nicely worked out. @Mayuen Thank you so very much ! All that is what I was aiming for so I'm really happy to hear you were able to enjoy it as much ^^. 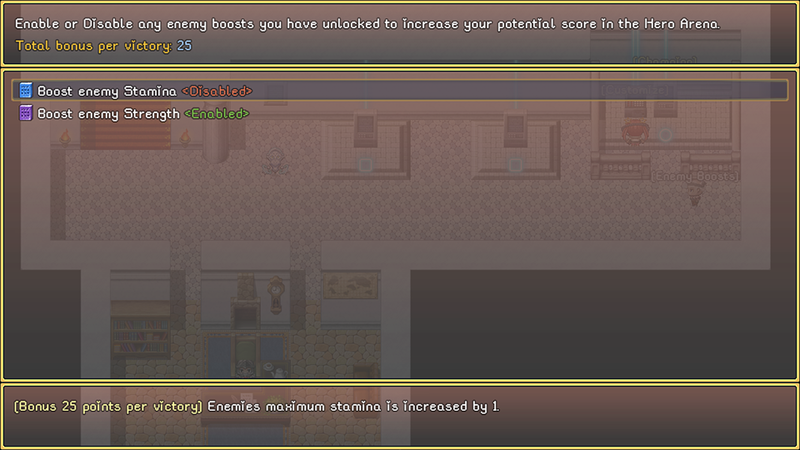 Yeah regrettably though I wanted to I didn't have time to add additional bosses. I wanted to make sure the skills/balance for them was well tested, and was concerned if I added more too late that I might miss any potential bug/etc added (discovered a crash bug in the main bosses basic attack after hours of testing that only happened in a super unique circumstance) so I wanted to just polish off what was there. Thanks again for you trying it out and for responding . The limited overall response means I'll need to focus on moving towards the next project without expanding this with additional enemies/bosses first but I'm glad it was entertaining for you as long as it was ^^. All those art are incredible done! I likey! Looks really cool, this goes on my game-to-play list. I appreciate that you chose to make the content polished over adding more. Quality over quantity.Mind if I review this? El Dragón Blanco and SwiftIllusion like this. @CaniniThank you ! I'd be absolutely honored to receive a review, looking forward to hearing your thoughts on the game ^^! I am working through a backlog at the moment so it may take some time before it is your turn.